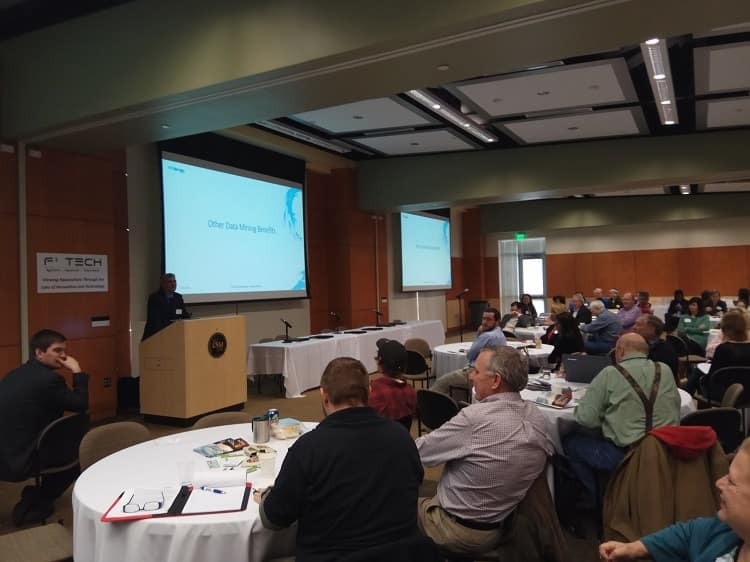 The aquaManager team was recently invited to participate in F³ Tech Symposium – Winter 2018 – Viewing Aquaculture Through the Lens of Innovation and Technology in Maryland. During the Innovations & Technologies in Aquaculture session of the symposium, Kostas Seferis (Business Development Manager for aquaManager) had the chance to present BlueMiner, our latest state-of-the-art data mining and machine learning platform for aquaculture . The subject of the presentation was to show how ICT and data mining technologies can help to improve production efficiency and management in aquaculture operations. The F³ Tech Symposium was a great event, that brought together industry, investors, service providers, government agencies, and academic and research institutions. Everyone was inspired to share their key challenges, ideas, best practises and solutions.